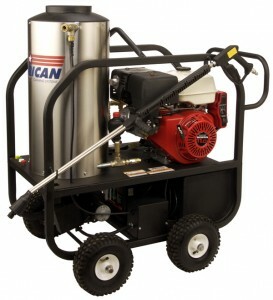 Brown's Equipment & Supply Co.
We're your source for Pressure Washers and Portable Space Heaters in the Philadelphia & Tri-State area! (List $7399.00) Call / Email For Pricing (brownsequipment@verizon.net)!! This particular unit was used during the clean up at the Delaware River Oil Spill (PDF File) and proved to be a work horse. After cleaning up the river, these units were also used during the recovery effort after Hurricane Katrina. If these units are tough enough to handle national disasters, imagine what they can do for your cleaning needs! CALL TODAY – LIMITED SUPPLY! Ask about our $9000 (freight costs may apply) Electro Magic Trailer w/ Hot Skid Unit! We offer financing for equipment (click button below for approval)!! © Brown's Equipment & Supply Co. Thank you for contacting Brown's Equipment & Supply Co.